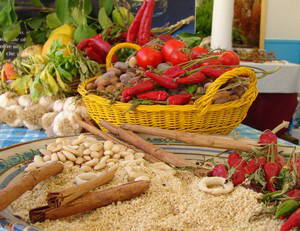 The millenary medie of races and traditions has conditioned both the history and the gastronomy of the province of Trapani. The Phoenicians were the first ones to understand the versatilità of the land and what the sea was able to offer. Particularly rich is the contribuition of the Arabs who landed an the island at the benigging of the IX century and remarne there until year 1000. 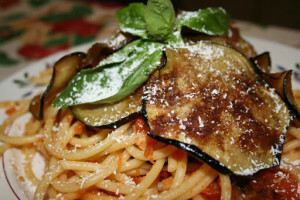 The Trapani cuisine gains its own identity, many recipes, apparently of Arab origin, were improbe by the second and third generation of Sicilian Arabs. 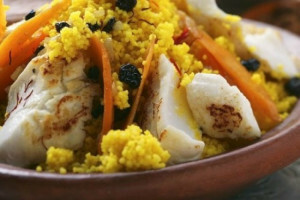 Of Arabic origini s the so-called cuscus, the dish that is the symbol of the privince. But it is with the arrival of the Spanish that food rises to gastronomy. The tortillas become omelettes, garlic becomes the main ingredient of a typical Trapani dish called pasta cu l’agghia (pasta with garlic). 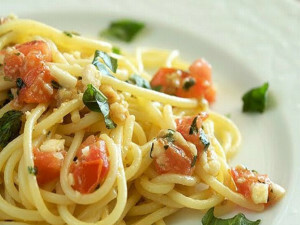 With this garlic sauce with tomatoes, basil and oil, that in Erice is eriche with minced almonds, two different types of fresh pasta are made: the busiate (thin layers of pasta ralled round what is called buso) and the handmade grocculi. As for the wine. Trapani offers a wide range of species of vines. 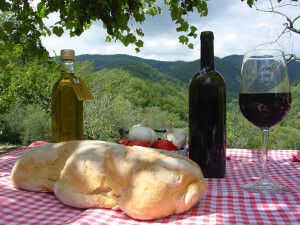 The DOC of the province: Erice, Alcamo, Marsala, Moscato e Passito di Pantelleria. And there are also the autochthonal and International vines: Nero d’Avola, Inzolia, Catarratto, Grillo, Grecanico, Trebbiano, Cabernet, Syrah, Merlot and Chardonnay. The scent of Trapani is to be found in the tiny roads of its historical centre. This rejoicing of our senses brings the cuscus to mind, like a flag that is unfurled amisdt all this charm. 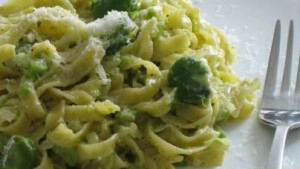 This dish is extremely linked to the town’s traditions, even from a social point to view. 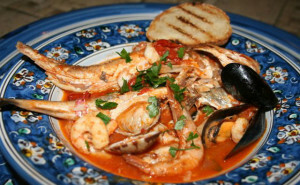 another typical dish of the sea cuisine is the so called ghiotta, very popular in the Trapani area: oil, garlic, fresh tomatoes and all sorts of fish. 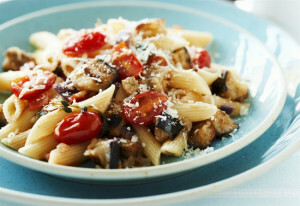 Tuna is the main ingredient of this dish which is very common in the whole province of Trapani. 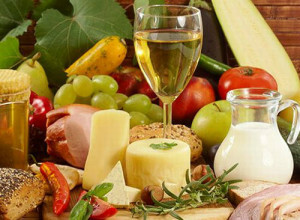 Ot may be prepared with tomato sauce or in the oven with plenty of onion and wine. 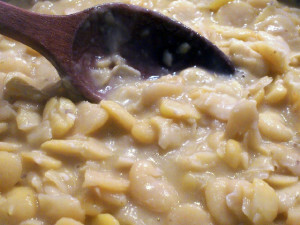 The leaner part, the so-called tunnina, is fried wih onions. The end part, next the tail is used to make rissoled. Tuna is used to make many other delicius dishes. The sea offers many other products. From tiny fish to higher quality fish such as lobsters, cod, praens and polyp. 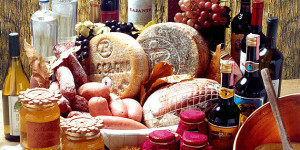 Just as importanti s the inland cuisine mainly based on vegetables, cheese, eggs and meat. The main dish is roast wether. 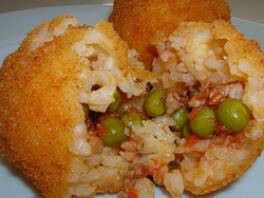 But what people from Trapani are famous for are rissoles. They may be prepared in differenti ways: with couliflowers, fennel, sardines, aubergines, dried salted cod, pork and wild vegetables. Naturally bread is a must with these dishes. The typical bread from Trapani is called the vastedda, a loaf which weighs a kilo covered with giuggiulena (sesame) or with cimino (anisees). It is delicious when served warm and cunzata (flavoured) with oil, salt, pepper and oregano or if you like with tomatoes, anchovies and cheese. 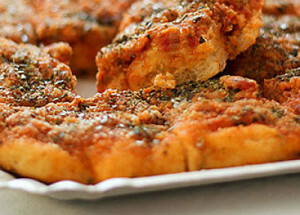 Pizzerias offe the rianata, a typical pizza from Trapani served with salted sardines, tomatoes, parsley, oregano, garlic and sheep’s milk cheese. 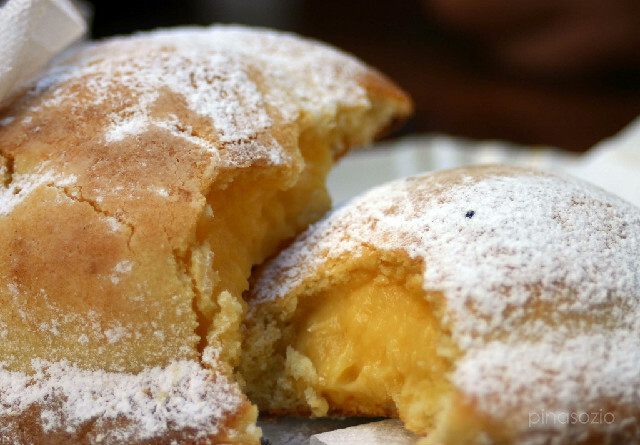 In rotisseries you may find oilcakes, potato crocchès, arancine, iris either with meat or ricotta, ham calzoni and cardinali with meat. 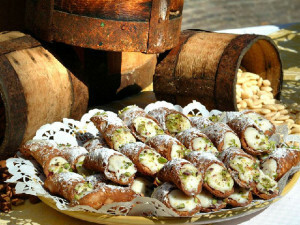 The local gastronomy is furthermore enriched by the sweets. 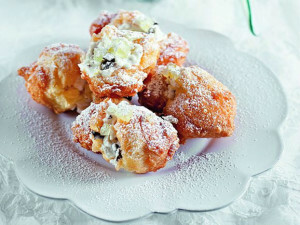 Apart from the classical ones such as cannoli with ricotta and cassate, there is a large variety of confectionary products: coloured alkermermes peaches with ricotta, sfincioni di San Giuseppe with ricotta. You could easily get lost in Erice among the intricate plots fo the old village. 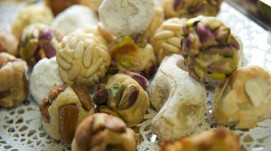 A speciality are the sweets which have far and distant roots. Even the poorest gouses had a wood-stoken oven where all kinds of swets, with ricotta, custard, almonds or even vegetables sauce, were made. But most recipes were to be found in convents. 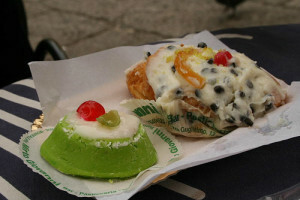 The cloistered nuns of San Carlo and Santa Teresa, baked sweets and biscuits know al lover Sicily. Towards the inland, the landscape changes. Most of the between the salt and the hills have garlic and meon crops. The red Nubia garlic, picked between March and June. 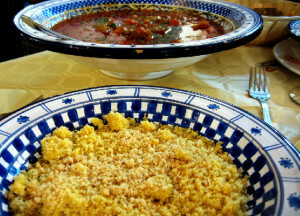 The main ingredient of the Trapani sauce and cuscus. Melons are one of the oldest products of the Trapani agricolture. The yellow melon from Paceco. 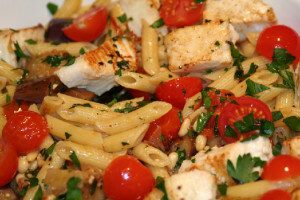 It is delicious when served with Marsala or even in a glasso f old win or in ice-cream. Marsala is much more than a wine. To taste this extraordinary nectar means to taste history. Battles, revolutions, alliances, strategies, no other wine has even been so present in such important moments of the past. It is surprising with cheese; plain it becomes an axcellent aperitif either with biscuits or dried figs. 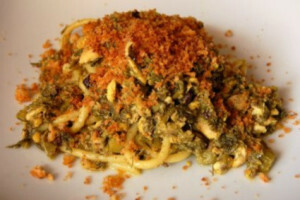 It is ideal with some typical Trapani dishes: fish ghiotte (Superior Reserve) and roast wether (Very old Virgin). Between meals it i san excellent meditation wine, especially with chocolate and a good cigar. Here, more than anywhere else, the land seems to be divided into two parts: in the low part the coast area and the imminent inland; n the centre: Belice. Any everywhere fields trod by ovines and caprines, the richness of this territory. This is where the Vastedda del Belice, is made, a daintiness to be found among the best cheese made in Italy, the only one made exclusively with raw ovine milk. Between San Vito Lo Capo and Scopello it is nothing but a coming and going of emotions. The long beach of San Vito, burnished by the sun, cuts the scene into two: on one side the low houses of the fishrmen, the little hotels and the restaurants with their tables outside; on the other the lighthouse, the towers, the mountains that come tumbling down from the sky and colour the sea. This is where at the end of September on the streets of San Vito Lo Capo the Couscus Fest is held, a gastronomical kermesse that turns this sea village into a massive laboratory of taste. A terristrial paradise plunged in the blue, none miles away from Trapani. The local gastronomy is based on the fishing of tuna, a resourse of great importance. 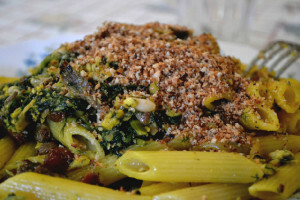 There are innumerable recipes: with sauce and rigatoni, in balls, baked, sweet-and-sour, with mountain herbs, a falsomagro, stewed, alla matalotta, cooked in roulades, or in pies. A real masterpieces are the so-called frascatole, big bran balls with lobster soup. And then of course the pastasciutte: with tuna botargo, knee.pan, sea-eel sauce and sea-urchin eggs. 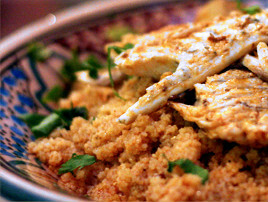 And the there is the cuscus with fish. In Marettimo the luxuriant plains and unexpected hills succeed one another, the rocky mountains seem perspectives of the Dolomites. The fresh pasta with lobster sauce is like a flag, a perfect symbiosis of simplicity and taste. The cuscus is prepared also with shrimps.